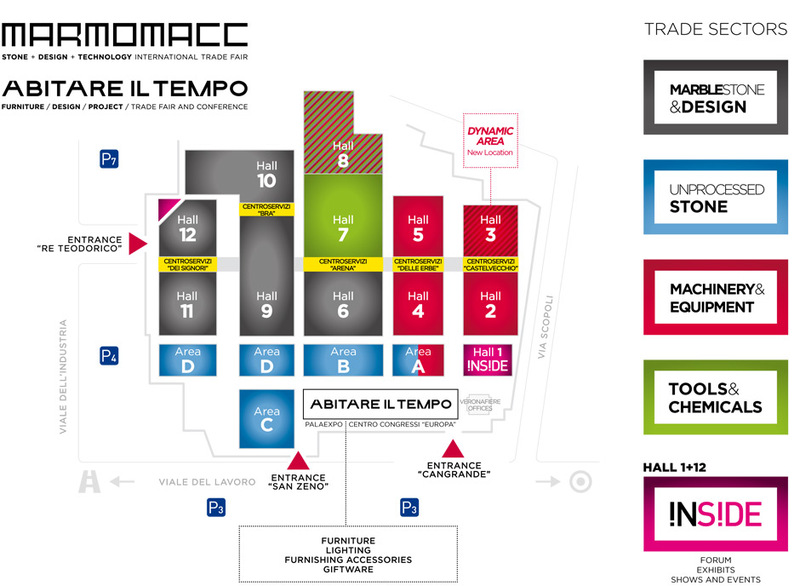 Marmomacc, the International Trade Fair for Stone, Design and Technologies, scheduled Wednesday 24 to Saturday 27 September 2014, will take place at Verona Exhibition Centre, Verona, Italy. This is the 49th edition of the leading international trade show for the stone sector and you can find SOLANCIS at Hall 12, Booth D3 (see map below). Marmomacc is the essential fair for operators in the stone industry, from machinery to instrumental products, from marble blocks to more complex processing, for professionals in construction and contract sectors as well as designers and decision makers seeking success in an increasingly specialised and competitive context. In 2013, there were 56.992 visitors from 143 countries and 1425 exhibitors from 56 countries.